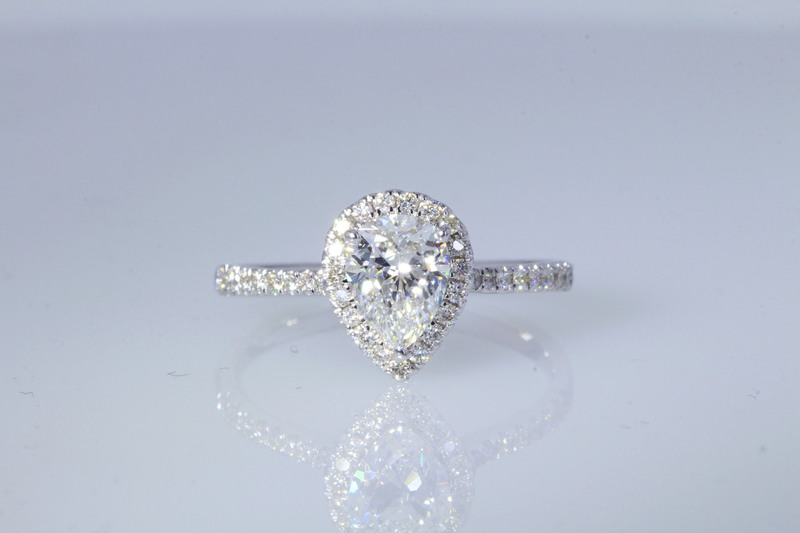 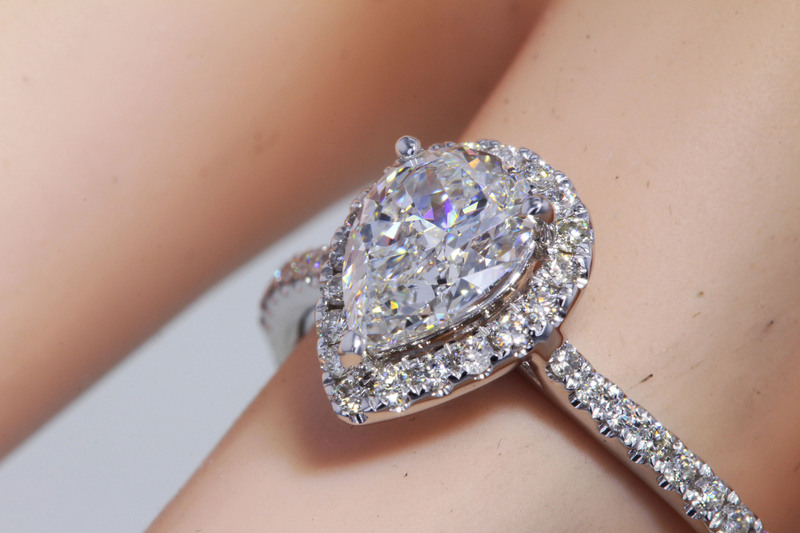 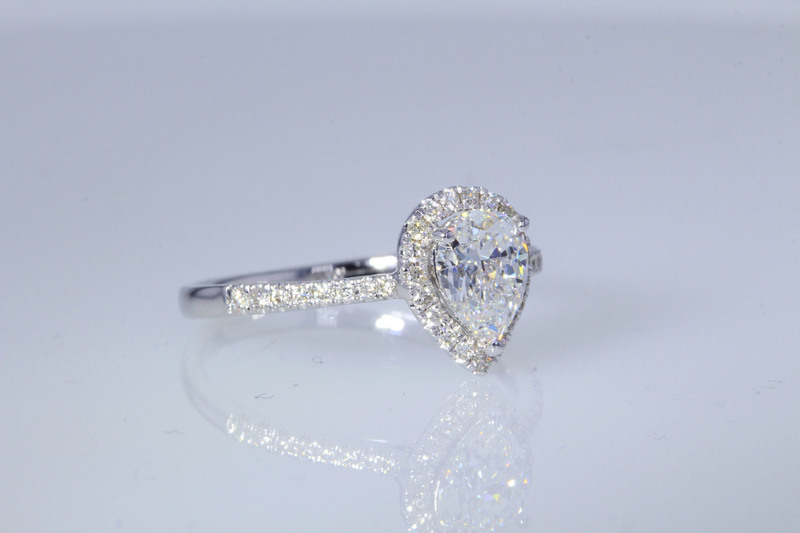 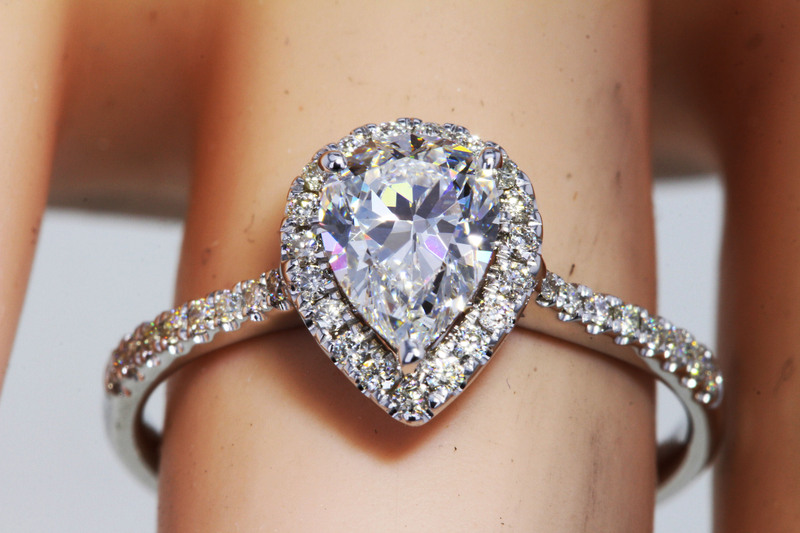 Center diamond is 0.80CT colorless F color with a near flawless clarity of VVS2. 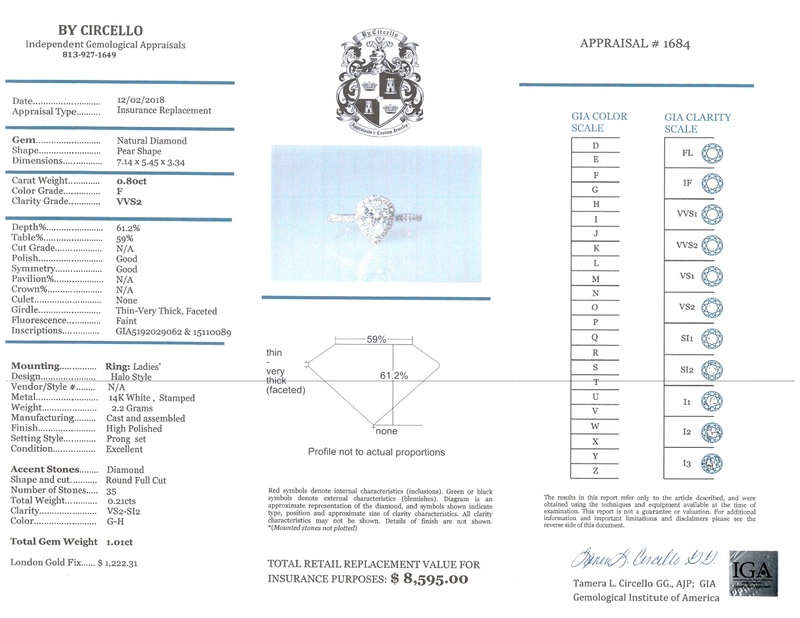 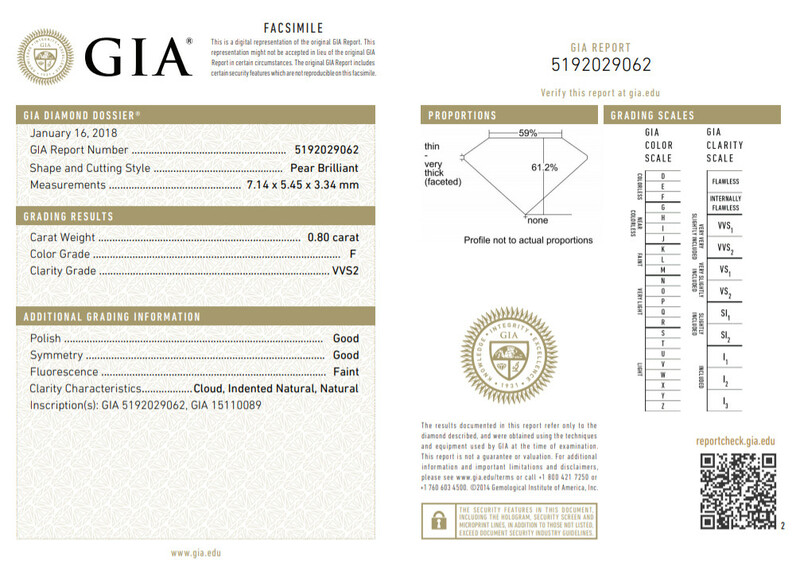 The diamond has TONS of fire and brilliance and comes with GIA certification and has the certification number inscribed on the diamond. 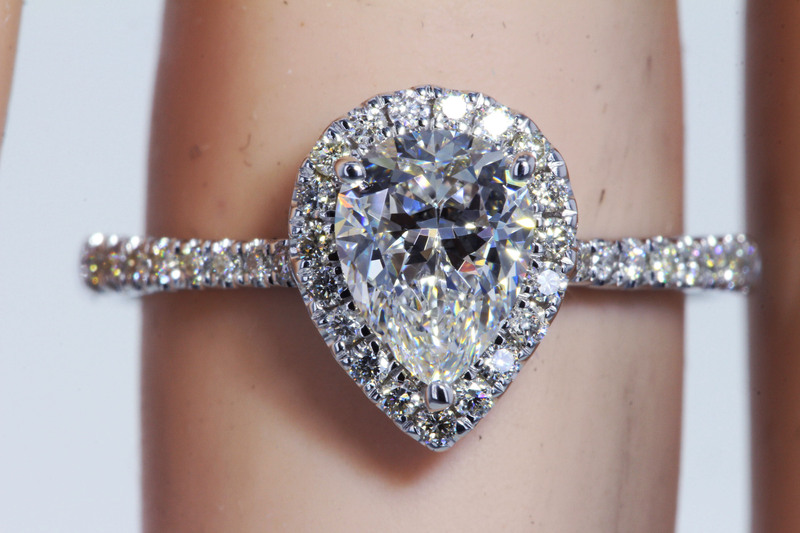 With this rare F color and very rare VVS2 clarity the diamond is about as high end as it gets and will make your girl feel just as special. 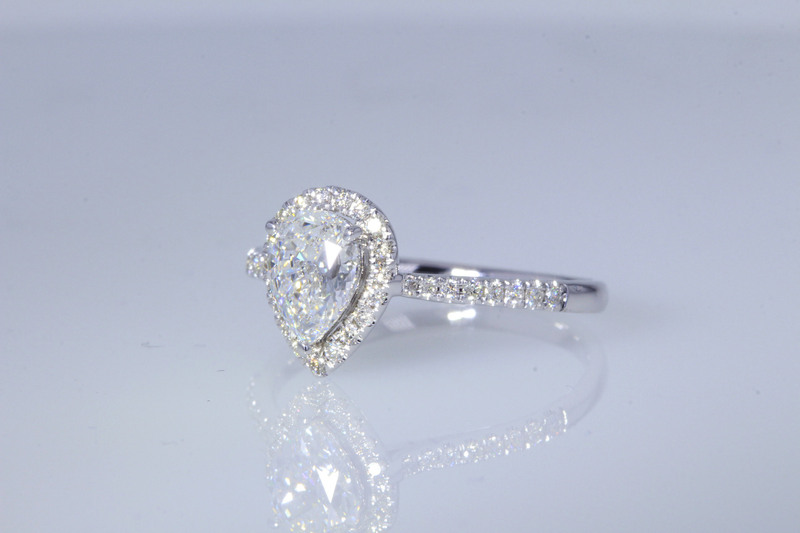 The diamond was just set in this brand new 14kt white gold halo with 0.21CT of full cut round brilliant diamonds for a total carat weight of 1.01CT.